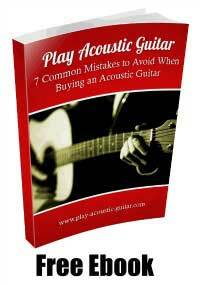 If you have a standard acoustic guitar, you can amplify your sound with one of several acoustic guitar pickups. 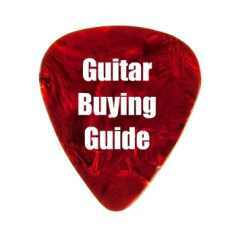 Yet, the number of choices of pickups available can be overwhelming. Let’s shed some light on the considerations of the different types, including the ease of installation, performance and aesthetics. Then, you will be better equipped to make a good purchase decision. What type of music do you play? 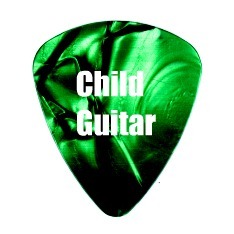 Do you strum, flatpick or play finger style? 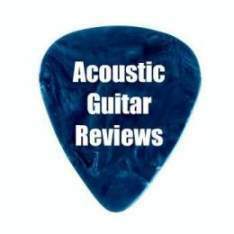 The type of music being played will largely determine the acoustic pick up you need. Soundboard transducers are best for flatpicking, undersaddle transducers for finger style and sound hole pickups for other music like rock acoustic, solo performances and small venues. Soundboard transducers resemble a thin strip or a pad that is attached to the soundboard. These are usually installed at the factory and are wired to a control panel on the side facing the player. You can get some that attach to the top of the soundboard. Soundboard transducers take the sound from the vibrations of the soundboard or top of the guitar. The sound is routed to the control panel, then to the amplifier. Players say that these types of acoustic guitar pickups provide the cleanest, purest tone available over the other types. They do not affect the outward appearance of the instrument and you cannot even tell it is there. The overall sound is a nicely rounded tone that is similar to a miked sound. One of the better soundboard transducers is the Dean Markley artist transducer acoustic guitar pickup, available for less than $50. Easy to install so even a beginner can do it, this pickup simply attaches to the top of the body with a little included adhesive. It can be placed in different locations to experiment with the sound before you actually attach it. The cord then runs to a ¼" input jack plug that goes directly into the amplifier. Truly a 2 minute installation. An undersaddle transducer works the same way as the soundboard transducer. The exception is that instead of "sticking" to the body, this one is attached to the saddle. The saddle is where the strings attach at the bottom of the body. The Fishman undersaddle acoustic guitar pickup is one of the best, creating a truly fantastic sound at less than $100. The installation is internal and does NOT affect the outward appearance of the instrument. The last type, the soundhole acoustic guitar pickup, attaches directly to the soundhole under the strings. This type of pickup generate a more electric sound than a transducer. If you want to affect your tone, this is the type of acoustic guitar pickup you want. These pickups are available in a wide price range from around $50 to over $225. The Seymour can be temporarily or permanently installed, and is the best choice in amplification if you can afford it! Whatever the style of music you play, you want to be heard. Especially in larger venues or halls. The use of acoustic guitar pickups makes this possible. For the cost conscious guitarist, this is a cost effective way to amplify your acoustic guitar without buying an acoustic/electric instrument.